The beer looked perfect, just like a normal batch, but when I went to smelt it, it wasn’t what I was expecting. Earl Wit has a great lemon nose with hints of tea and wheat, this beer smelt like a stanky becks. Which isn’t that horrible, but out of place. The taste of the beer completely blew my mind. This beer, after the infection and treatment, had a flavor nearly exactly to an uninfected beer. There is a very subtle tartness, but nearly unnoticeable, and I really think it might be my mind convincing me of the off flavor. 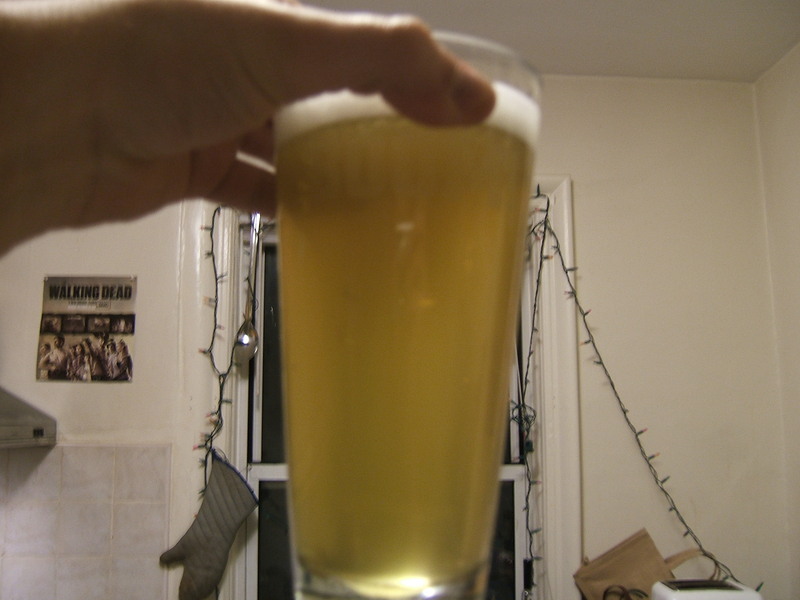 I had a lactobacillus infection this summer in a pale ale, and I swear just dry-hopping seemed to mostly knock it out. At least it knocked out the tart/ green apple flavor and turned it into a nice, brett-style funk. “stanky becks” should be a Cicerone aroma descriptor!